Home > News > Northern Society makes noise at House of Commons event! 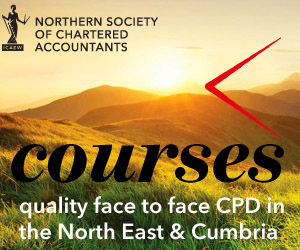 Northern Society of Chartered Accountants (NorSCA) was well represented at the recent ICAEW BusinessFutures debate held at Chartered Accountants’ Hall followed by a Parliamentary Reception at the House of Commons. All 3 district society office holders (Jeanette Brown, Andrew Jackson and Rob Tindle) were joined by immediate Past President, Nick Lambert of Orchard Systems, former Tyne & Wear Chairman Yvonne Gale of NEL Fund Managers, John Howarth of Anderson Barrowcliff, Chair of NCASS, Emma Forrester of Dodd and Co, Chair of CCASS with Regional Director Keith Proudfoot keeping the team in order (well almost). Questions were asked by the Team to Labour peer Lord Adonis as well as national ICAEW office holders. Other attendees were left in no doubt as to NorSCA’s energy and commitment to being seen to be leading the way in being involved in crucial issues affecting the future of our profession. The reception held in the Terrace Bar at the House of Commons was attended by Shadow Chancellor Ed Balls MP, Economic Secretary to the Treasury Nicky Morgan MP and numerous other parliamentarians. The Northern contingent was delighted to be joined by Chi Onwurah MP (Newcastle upon Tyne Central) and Iain Wright MP (Hartlepool) who welcomed us to his “local”. So if you’re interested in being involved in the future of chartered accountancy – get involved in NorSCA! 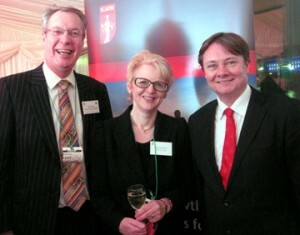 Pictured are Rob Tindle and Jeanette Brown with Iain Wright MP.